Everything is better around a campfire (or, as I call it, “caveman TV”). It creates a sense of calm and unity with the people around you. Oh, and food definitely tastes better when cooked over an open fire! 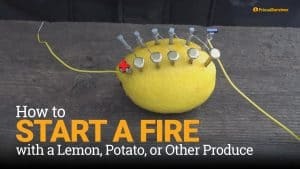 But there are a lot of issues with making a campfire in your backyard or even when camping out. That’s where portable fire pits come into play. They make it possible to safely get a fire going virtually anywhere, without having to worry about making a fire ring or digging a pit. Some even have features like spark screens which allow them to be used when there is a burn ban in place. Below are 8 of the best picks for both camping or backyard use. 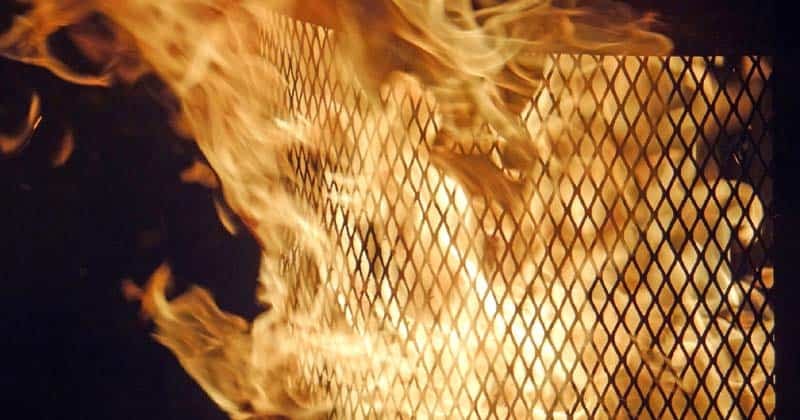 We’ve also got a handy guide on what to look for when choosing a portable fire pit. Solo Stove is a really cool company which makes gorgeous stoves and portable cylinder-type fire pits. What makes the Solo Stove stand out is that it has a double-wall construction. There are air flow holes at the bottom which feed the fire inside the cylinder. You get a really good flame without having to use up too much fuel. The company also makes other sizes of this portable fire pit, including very small ones which can be used as stoves. 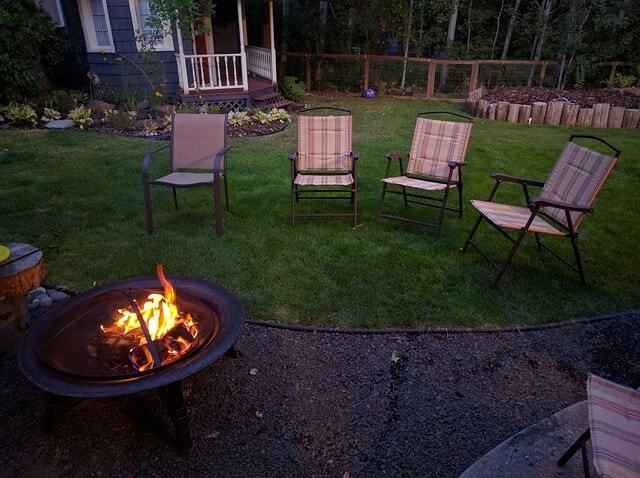 The Bonfire size is large enough for a group of friends to sit around but still small enough to be portable. This folding portable fire pit is one of the best budget options. For such a cheap fire pit, it has a great design. You can completely fold down the legs and put it in a carrying case. This makes it very easy to transport and set up. The reason that this is so affordable is that it is made from painted steel. So, you’ll need to make sure it gets put inside after use. It’s more of a table shape then a bowl, so it will get filled with embers if you try to use it for a long time. Only use small/medium sticks with it and not logs. The fire pit comes with a screen lift tool, wood grate, cooking grill, and carrying bag. This is one of the most popular products because it comes in such cool designs; the bowl has cutouts of stars and moons or wildlife animals. As far as safety goes, this is a great option. The cutouts have screen behind them which prevents sparks from coming out. There is also a removable spark screen and a safety ring around the pit. Note that if you want to use coal you should put a layer of sand at the bottom of the bowl. This will make it easier to clean. The sand also protects the bottom of the pit from corrosion. Because it is quite heavy and it’s recommend to use sand with it, this is a better option for home use. However, if you don’t mind lugging 32lbs out of your car, you can also bring it camping. Why it’s awesome: Beautiful design! The Biolite is loaded with insane features. There are 51 air jets which inject the fire with oxygen to keep it burning (no smoke here!). The jets are controlled by a USB powerpack. You can charge the powerpack with USB or the solar panel on the case. You can also detach the powerpack and use it for charging devices. It is super efficient. You can control the air speed to make a huge fire or one that burns slowly – up to 24 hour burn time. The fire pit even has Bluetooth! You can control the fire size with your phone, meaning you don’t even have to get up from your seat. And then there are the standard features, like having folding legs for portability, a grill grate, and 360 degree mesh for good viewing. Why it’s awesome: Bluetooth connected and USB-powered fans! Here is a great, basic option which is truly portable. The table has legs which pop up/down in seconds and weighs just 8lbs. You can easily fit this in your car for camping. Or keep it in your garage for when you want to use it at home. The material is pretty thin, which means it isn’t as durable as some other options. However, the thinner metal means that it cools down much faster. This is important if you want to bring it to picnics – you won’t have to wait hours for it to cool down. The manufacturers even claim that it cools down in 90 seconds (realistically, you’ll have to wait around 15 minutes before handling). The downsides is that it doesn’t have any spark screen. You’ll be able to enjoy the fire unhindered, but have to pay more attention to safety. You also don’t get a grill with this, so you’ll have to use sticks if you want to cook over the fire. If you are looking for a product which you can use at virtually any campground, this is the one. Because it has a solid metal top to prevent flames from flying out, it will meet almost all regulations. It is also very nicely built with lots of great features like a handle and bottom storage shelf. The removable grill means that it can be used as a fire pit or as a cooking surface. The overall quality is great. Even the wheels are made from metal and everything holds up very well. The downside is that it isn’t exactly the most portable. Yes, it does have wheels – but you can’t collapse the pit to put it in the trunk of your car. As far as portable propane fire pits go, this one by Outland is very popular. First off, the price is affordable. It is also designed well so you can easily transport it and clean it up without making a mess. One of the standout features is that it contains “lava rock” inside of it which resembles coals. When lit, it looks like the lava rock is flickering, so you get a nice campfire effect. The output is 58,000BTU/hour, which is very hot! Another important feature is that it is CSU approved, meaning you can use it almost anywhere – including in places which have burn bags in effect (always check first though). 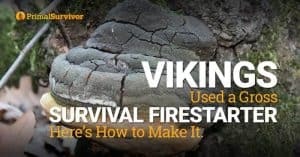 So, while propane might not be the most travel-friendly option or campfires, it’s worth bringing the extra weight to be able to make a fire anywhere. This is a completely different option for a portable campfire (not exactly a fire pit, but does the same job). 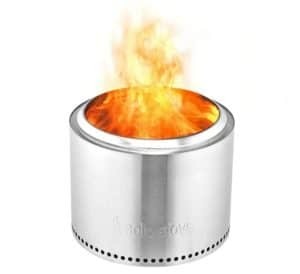 The Radiate Campfires come in little cylinders with soy wax and fuel inside. 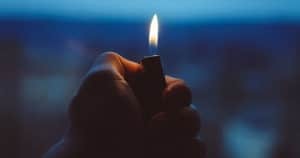 You simply light it and it starts burning. One pack can burn for about 3-5 hours. If you want to put out the fire before then, just slide the lid over it. You will be able to relight it again later. Of course, the downside is that these have a limited life. Once you burn out the wax, you’ll have to buy another. However, as far as convenience goes, this is by far the easiest portable campfire to use and take with you. It makes no smoke or sparks and is hot enough to roast marshmallows over. In many of the places that I go camping, there is absolutely no need to bring along a portable fire pit. 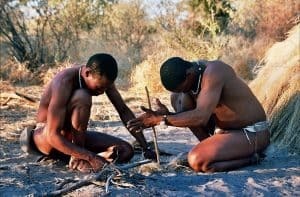 I just gather rocks to make a fire ring for containing the fire. Or, on the beach, you can easily dig a hole in the sand to contain the fire. 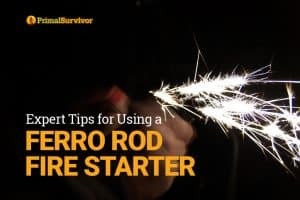 However, sparks can easily jump out of these improvised fire rings or pits. This is particularly dangerous in dry areas prone to wildfires. Plus, lots of people don’t know how to properly make a campfire. As a result, many campgrounds and national parks require you to have an approved fire pit if you want to make a fire. A permanent fire pit can be a great focal point for your yard, but it isn’t always practical. They are a pain to mow around, and do require maintenance. You’ll have to clean out leaves and debris from a permanent pit each time you want to use it. On top of that, many cities have ordinances which limit options for permanent fire pits. It’s a lot easier (not to mention cheaper) to just get a portable one instead of installing and maintaining a permanent fire pit. Before you buy one for use in your backyard, make sure you check local regulations first. Most municipalities do allow “recreational fires” but there are rules you have to follow. Note: Your town might have very different regulations, so check them first! If you can’t find the regulations online, then call your local fire department. After regulations, this is the most important thing to consider. Some are really heavy and bulky. It will be difficult to carry out each time you want to use it (especially if you have a bad back!). The more annoying it is to carry the less likely you are to use it. If you really struggle to carry heavy things, then get a small option or one on wheels. Aluminum: Very affordable and lightweight, requires little maintenance and has good durability. Stainless steel: Looks good and comes in a variety of styles. It is also weather resistant (for those times you forget to bring the pit inside). Like aluminum, stainless steel is lightweight. However, it is a pricier option. Steel: Comes in many more shapes and is generally affordable. However, be warned that steel is heavier and susceptible to rust. Spark screens are a great safety feature and may be required by certain cities or campsites. Most fire pits have removable spark screens which look like domes you put over the fire. However, some have fixed spark screens. To light the fire, you will have to open a little door. If you want to roast something on the fire, make sure that the spark screen is removable. It’s virtually impossible to roast anything through the door! You have two choices: wood/charcoal or gas/propane. Gas/propane pits allow you to have an instant fire and are easier to clean up. However, you won’t get the crackle or smell of a wood fire. Nor do gas fire get as hot as wood fires. Note that some wood portable fire pits cannot also burn charcoal. It depends on the material and design. So, be sure to read carefully before assuming you’ll be able to use charcoal. The choice is personal preference, and will be influenced by where/how you are going to use it. For example, I personally prefer wood fire pits, but I only go camping in places where there is plenty of wood. If I were mainly using it in my backyard (not much wood! ), then I would go for propane. Here are some of the accessories you might need. Check to see whether they come bundled or if you need to buy them separately.